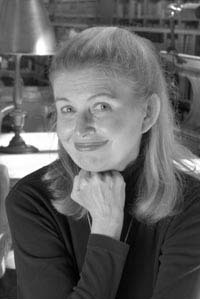 Susan Jacoby began her career as a reporter for The Washington Post and has been a contributor to a wide variety of national publications, including The New York Times, the Los Angeles Times, The American Prospect, Mother Jones, The Nation, Glamour, and the AARP Bulletin and AARP Magazine. She is currently a panelist for "On Faith," a Washington Post and Newsweek blog on religion. One wonders whether any candidate, instead of trying to prove that he or she is just one of the folks, would dare to tell voters that the nation needs not an ordinary but an extraordinary person as president and that one crucial qualification for the nation's highest office is the intellectual ability to distinguish, in times of crisis and on a daily basis, between worthwhile and worthless opinions. People are working harder, with less time for conversation, at home at the dinner table or among friends and others. Adults of all ages report that they have fewer friends, and fewer people with whom they discuss important matters, than they did twenty years ago ... One in four Americans say that they have no one to talk to about important subjects – more than double the percentage in 1985. Jacoby believes that real conversation is a matter of listening as well as speaking, a cooperative endeavor that requires civility and openness. She dislikes both the "angry back-and-forthing characteristic of ideologically driven radio and television talk shows and the softer setup – scripted though live – favored by such icons as Oprah Winfrey." Even when bloggers are engaged in what is supposedly direct dialogue with one another ... the exercise is usually distinguished by the absence of any relationship between comments and responses. Blogs spew forth, in largely unedited form, the crude observations of people who are often unable to express themselves coherently in writing and are as inept at the virtual conversational skills required for online exchanges as they must be at face-to-face communications. The point of blogging is self-expression, not dialogue. Among scientists, she writes, the phrase "junk thought" is generally synonymous with pseudoscience. Although cloaked in scientific language, as social Darwinism was in the nineteenth century and intelligent design is today, the leaden heart of pseudoscience is its imperviousness to evidentiary challenge. As the astronomer Carl Sagan notes, real science differs from psuedoscience in that the former "thrives on errors, cutting them away one by one," while the latter involves theories "often framed precisely so that they are invulnerable to any experiment that offers a prospect of disproof, so even in principle they cannot be invalidated." Jacoby complains that an array of right-wing websites use the label "junk science" erroneously on real scientific findings that they disagree with – such as climatological research on global warming or DNA testing. She writes that "The right-wing distortion and politicization of junk science is nothing more than a branch of a more pervasive phenomenon best described as junk thought." Jacoby writes that junk thought "emanates from both the left and the right, even though each group – in academia, political and cultural institutions – thrives on accusing the other of being the sole source of irrationality. The right loves to pin the label of political correctness (meaning just about anything opposed to right-wing values) on junk thought, while the left tends to concentrate on junk thought as a by-product of religious fundamentalism and superstition. Moreover, the much lionized American centrists, sometimes known as moderates, are in no way immune to the overwhelming pull of belief systems that treat evidence as a tiresome stumbling block to deeper, instinctive "ways of knowing." Jacoby believes in a consistent devotion to scientific evidence. She accepts scientific work on climate based on evidence while rejecting Paul Ehrlich's projections in his book The Population Bomb that contained error drawn from ignoring possible changes in human behavior. She criticizes Supreme Court Associate Justice Anthony Kennedy for using in his writing a majority opinion in what she describes as the "post abortion syndrome" invented by anti-choice organizations and based entirely on anecdotal accounts gathered by those groups. Devoted to social science, Jacoby counters Kennedy with "a major randomized study of more than five thousand women, conducted over an eight-year period by the American Psychological Association." She describes the study as finding "no significantly higher incidence of depression or stress-related illnesses in women who have had abortions." My guess is that if she were presented with a scientific study that countered this conclusion she would change her mind. This is what scientists are supposed to do, and Jacoby appears to be consistent in her devotion to the scientific method.